Helping the world feel better – one breath at a time. To empower Servicemembers, Veterans and their Families worldwide through Trauma-Conscious Yoga. Connected Warriors classes are available in 24 states and counting. We can be found at local yoga studios, universities, VA Medical Centers, Vet Centers, military ships and military facilities across the Nation and abroad. Connected Warriors provide mats, shirts, blocks, straps and other gear to our Servicemembers. We continue to expand to provide classes where our Servicemembers deploy. Read what our warriors have to say regarding the ways Connected Warriors classes positively impacted their lives. Connected Warriors provides our services to Servicemembers, Veterans and Their Families at no cost. Connected Warriors offers Trauma-Conscious yoga training to Certified Yoga teachers and healthcare professionals. Connected Warriors’ training is Yoga Alliance Certified for 10 Continuing Education Units (CEU). Without the efforts of our passionate volunteers at Connected Warriors, we would not be able to accomplish our mission. Whether you are a Veteran, in the Military, or a caring civilian wanting to join, Connected Warriors hopes to hear from you soon. 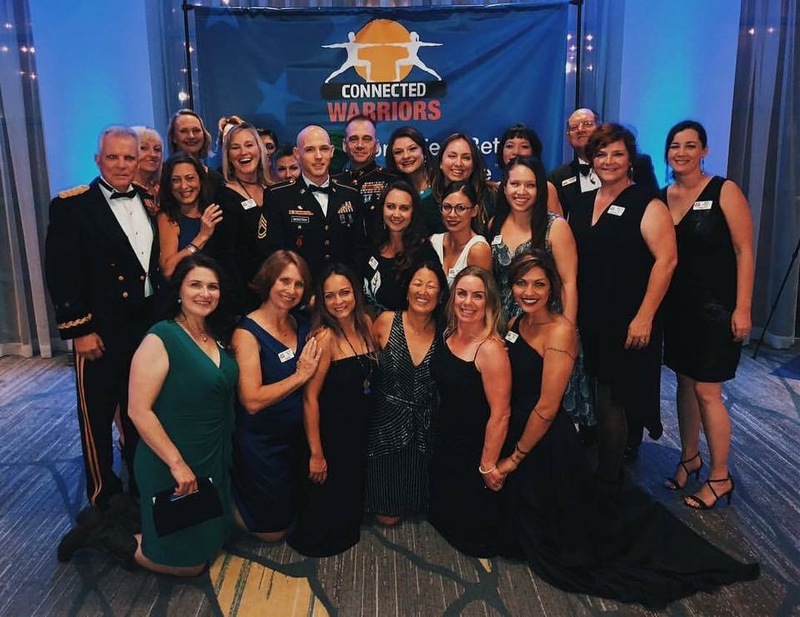 We welcome new Volunteers to help us “to empower Servicemembers, Veterans and their Families worldwide through Trauma-Conscious Yoga.” Please contact us at info@connectedwarriors.org. Help us to empower Servicemembers, Veterans and their Families worldwide through Trauma-Conscious Yoga.